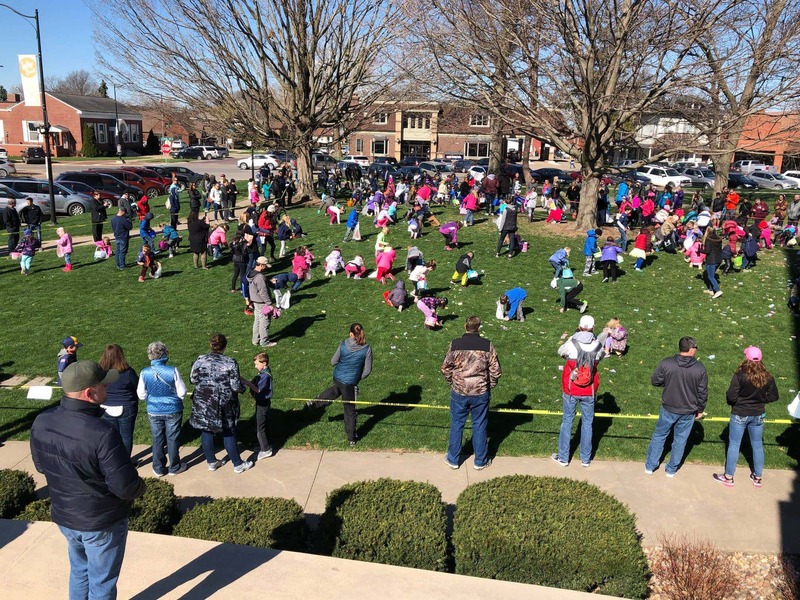 Despite the chill in the air, children in Pella made the mad dash for treats in the annual Kiwanis Easter Egg Hunt in Pella Saturday morning. Kids from infants to eight years old were able to hunt for easter eggs next to the Tulip Toren in Pella. The KNIA/KRLS Lil’ Big Red Radio was at the event to help with announcements and music.